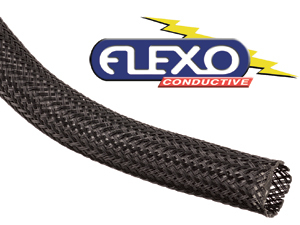 Flexo Conductive is braided from 11 mil carbonized Nylon® monofilament yarn. CN is designed to protect sensitive wiring from abrasion while shielding it from high frequency noise. 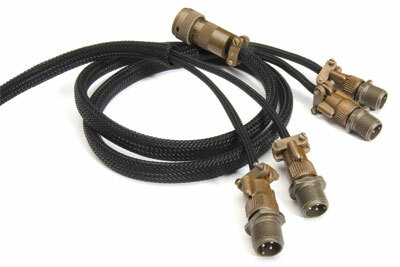 Many successful applications have utilized conductive carbon sleeving for maintaining clean video signals, case interference filtering in pro sound environments, cialis and RF filtering on power cables and outputs. Flexo Conductiveis also useful in static sensitive environments.